It has been a while since I last visited the forum. Here's a sneak peek of a work for my portfolio, celebrating the awesome memories I had with my friends playing D&D for about two years! And of course our fantastic DM, keeping an eye on us from the background. I'm going to paint them all for my portfolio that I would like to send to Wizard of the Coast by next year. Wish me good luck ! I hope you like them, and if you have any questions, comments or critics, go ahead! that looks awesome. really looking forward to see what you make out of it. I wouldn't notice but i can agree with the feedback you got, i don't see what's wrong with the legs and i like Eva's pose, it's Liadri that seems strange to me. And Barachiel's left arm... You can put an arm in such a position but it's far from comfortable. I guess, the egg should be more to the side of his body and his elbow might not be visible then. 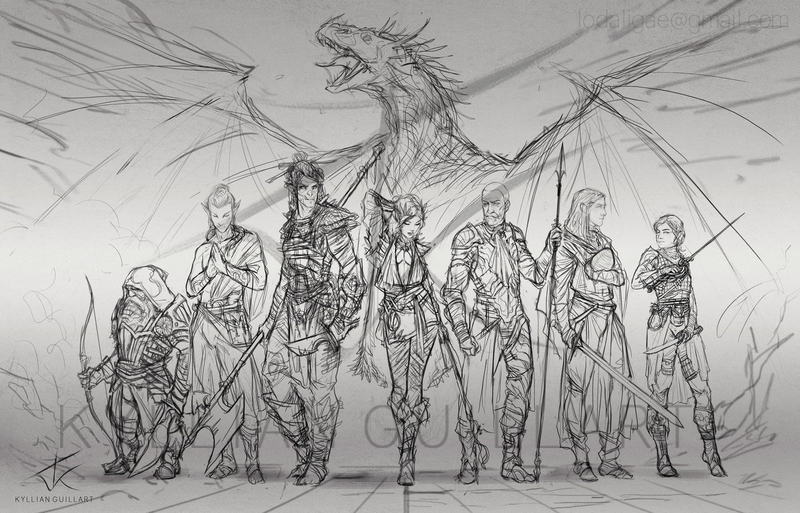 Again, it's an awsome piece, do post the next wips, this is going to be epic in the end! Thanks everyone ! And sorry for the delay, I had no internet since the day I posted this aha. @rokdem Thank you for the feedbacks! And in the end I redid completely Eva's drawing and pose and It is much better now. 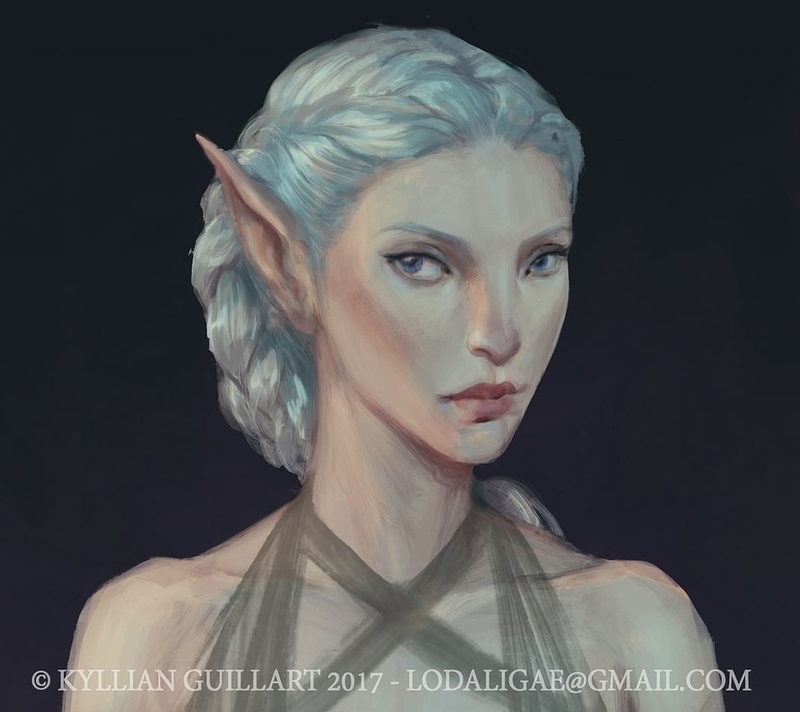 And I must agree, now that I look at Liadri, she will definetly require more rework and maybe a new drawing as well. As for Barachiel's left arm, I'll have to look and search for proper reference to make it look more natural when I come to that point. Thanks a lot! Here's a sneak peek of what I am currently doing on them. - the lighting is a simple layer with a mask, I'll have to paint it properly after. And yes I have done the whole body but is not ready to be shown yet (they don't have clothes yet and it is rough, I'll keep that for later). I'll post the progress and other characters in the upcoming days/weeks. I hope that you like them as much as I enjoy working on them! And of course I am open to Comments and critics even at this early stage on them. Taking a little break from commissions work (yay). To post some preview of my dwarf Kreggan, the dwarf ranger. I hope you enjoy him as well! Really looking forward to seeing more! Thank you very much for the support Rokdem! Yup I thought it was too samuraiish at the time I made it, but now that I look at it, it isn't that obvious anymore. I'll have to define it anyways. Aha, and yes I took another approach for Kreggan, this time I had the rough drawing you saw in the group picture, but I didn't decided to redraw it like the other but I tried to do a blank silhouette other the lines and see how it would work, it made him a bit more stylised at the begining but my concentration was on the big shapes. I guess he will become a bit more "realistic" with more colors and details/values like Drezz now. I'll have to flip the portrait to see what's wrong with the nose, thanks for noticing. And don't worry, he is a fierce warrior but a very kind and humble person. I don't really have a process or steps, I just go with the flow but I'm happy it is helpful for someone else. - sketch costume ideas over it. I was blown away by Sergey Kolesov's portraits he did for the latest Dishonored and that motivated me to get better with textures, shapes and volume. 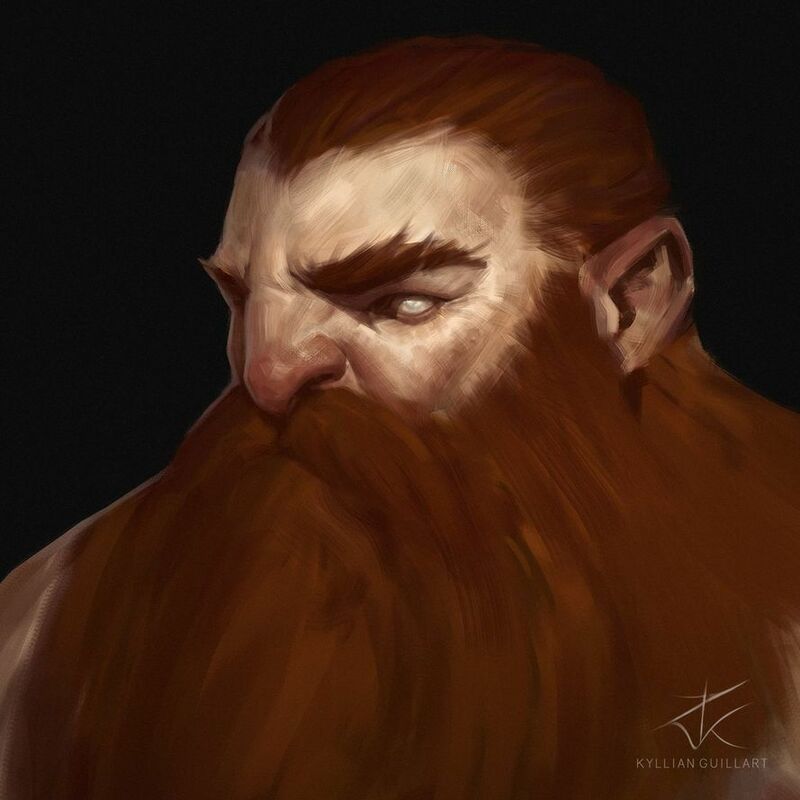 So here's an update on my dwarf ranger, Kreggan portrait. I prefer it that way. It is still a WIP but I really like where it is going. The texture looks great! You do that with brush strokes or is there another trick? I guess his hair and beard will get the same attention? Thank you, I did that with brush strokes yes, I use the brushes of Bastien Lecouffe Deharme and Peleng but these strokes were done with one brush If I remember correctly. And yes the rest will definetly get the same attention. 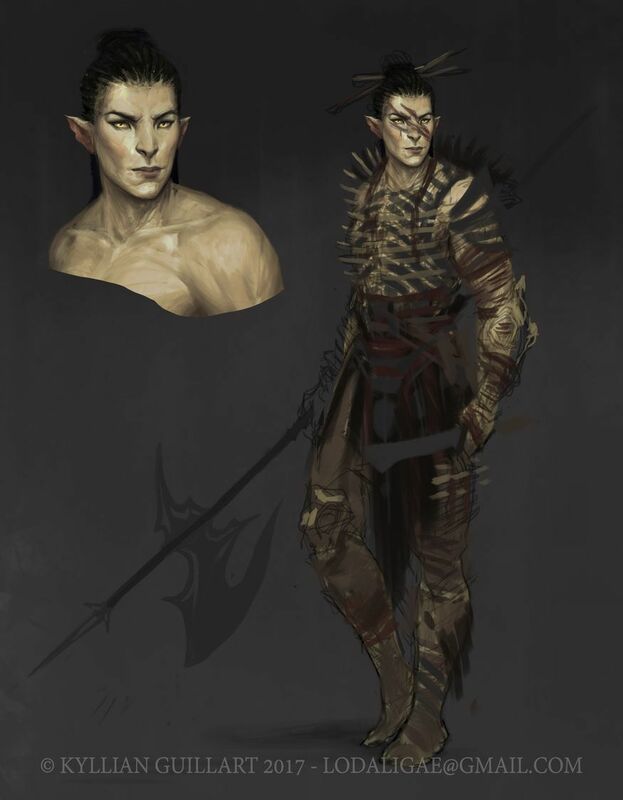 I have been working on an another character (a god) for a Dnd Homebrew campaign for someone else (I have to do 7 characters for him ) and I hope I'll be allowed to show him because he is quite cool right now. Hello everyone, I hope you are doing good? Here's the thread for WIPs, story, description etc... Here I won't post the pictures directly there because they are quite big for the submission but all is in the link. I hope you like them, I had a lot of fun doing them and I learned a lot. Also I wanted to have more sci-fi work for my portfolio because I am mainly working on fantasy projects but I love both. I hope you are all doing fine, I have been very busy, and totally forgot this topic. 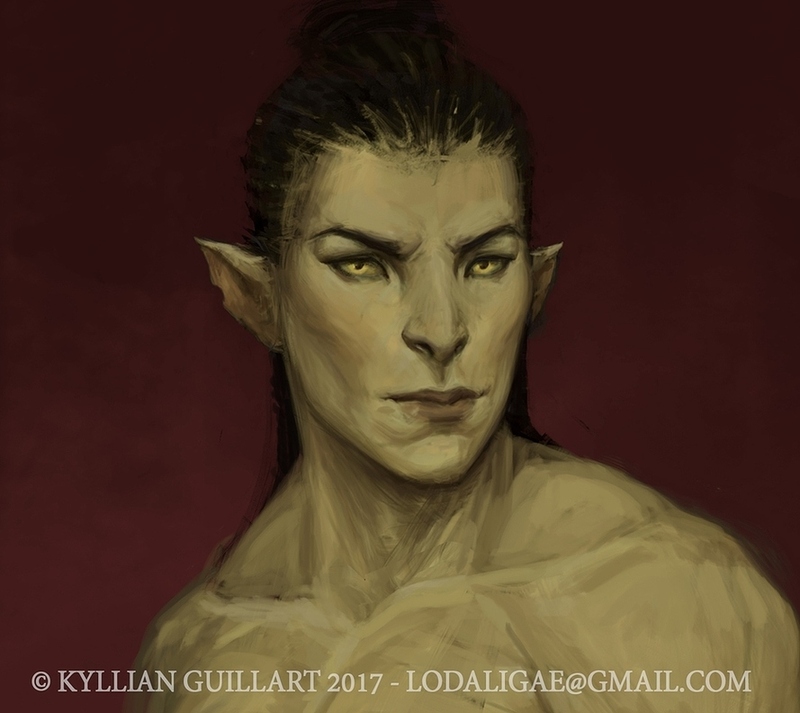 I allow myself to directly post the links since I don't want to drown you with 50+ pictures of illustrations, sketches and commissions. But i'll try to keep this topic updated when I can and directly post on it. 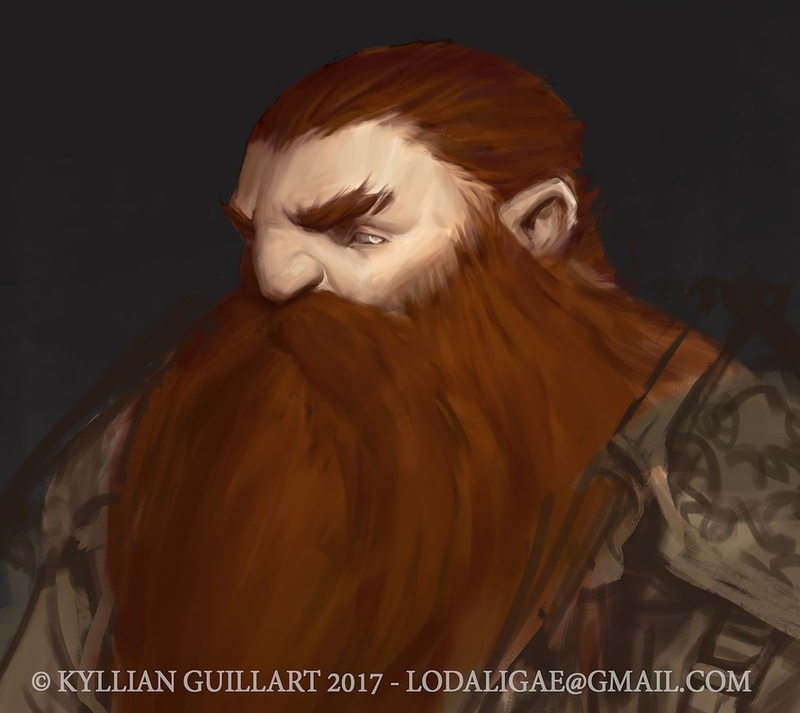 I have been recently hired to 40+ portraits of NPCs for tabletop rpgs, and If I am allowed to post them, I'll do that here. I'm also working on my most ambitious personal illustration with an environment and multiple characters since it is lacking in my portfolio, I'll post some sneak peeks here as well. Until then, thank you very much for your interest and have a nice weekend. Very impressive portfolio! You did great! Don't be scared to post 'too much'. No such thing as posting too much! Thank you very much for the kind words, I appreciate it. I'll keep that in mind for next time, I have lots of pieces (both professional and personal) planed for the upcoming months. A crop of a big Symbaroum (Check it out if you don't know that pen and paper RPG, it is great) personal illustration in the work inspired by a scenario we played a while ago... It isn't even a third of the complete picture for now. My portfolio was lacking big complete illustrations so I have been busy on this one between client works. And before you ask why the woman, Kelva, has no clothes on her top, she was a changeling shapeshifter witch who could turn into beasts and she'll have animals skulls on her belt, furs and of course arms aha. Same for the guy, Derkan, he'll have legs, he's not a ghost, this is still an early WIP but I hope you like it and that you are intrigued. Comments and critics are obviously welcome, even at this early stage. I think it's coming along really, really well. I love the mood and the rendering so far. Pretty solid stuff! Thank you very much! I'm having tons of fun with, unfortunately, I'll have to put it on hold for now. I have new client work to do. But I'll come back to it as soon as I can.